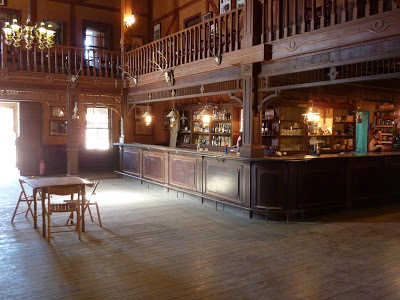 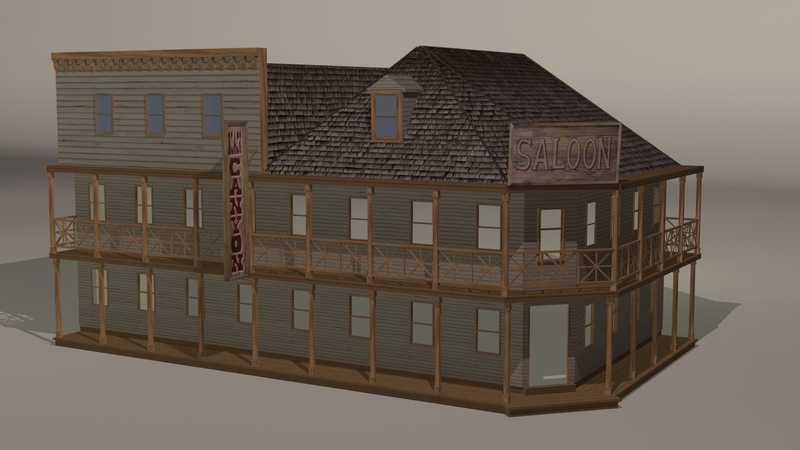 As a saloon would be one of the most important building within a western town it is important to include an interior that can be explored by a playable character. 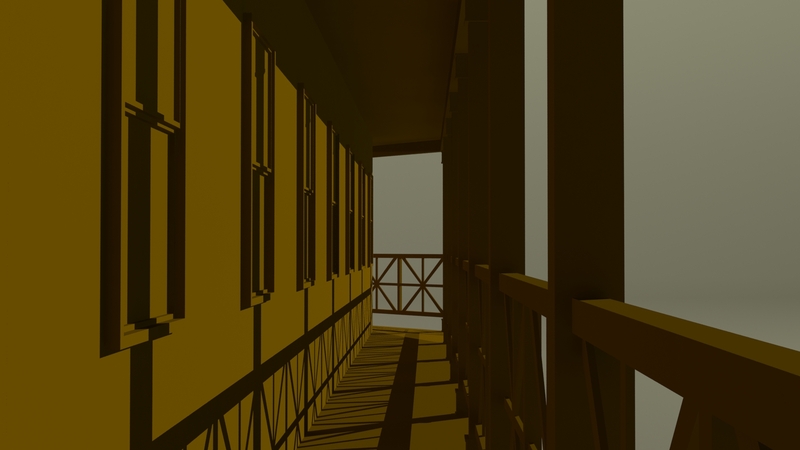 The photo below is what I have based the overall look upon. 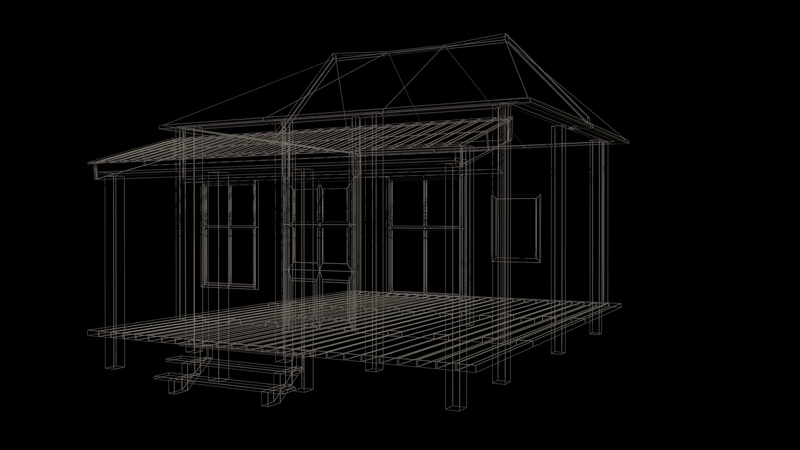 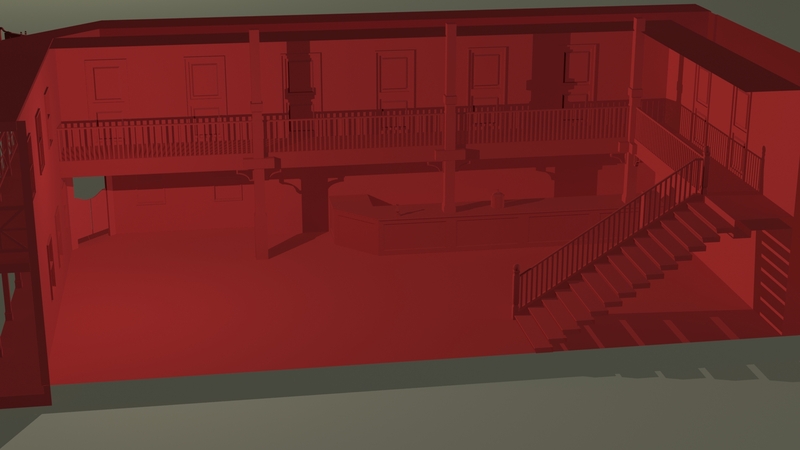 Below are two 3DS Max renders of the modeled interior of the saloon. 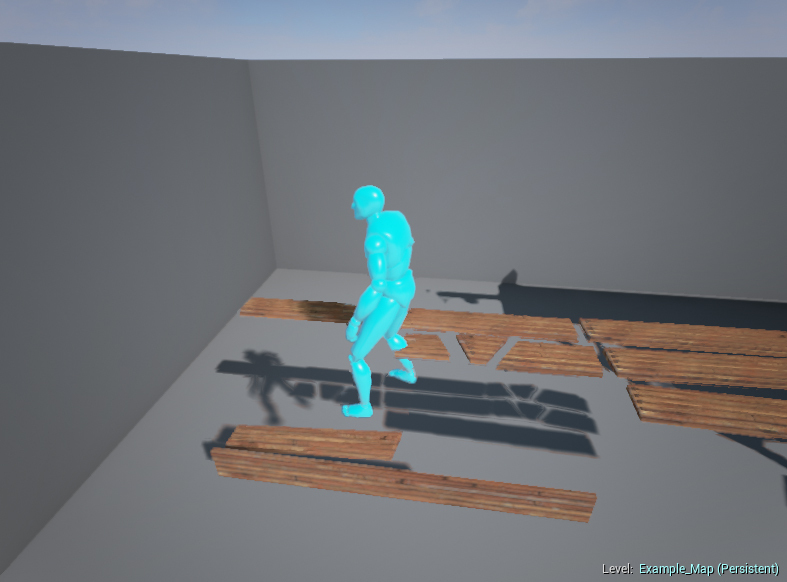 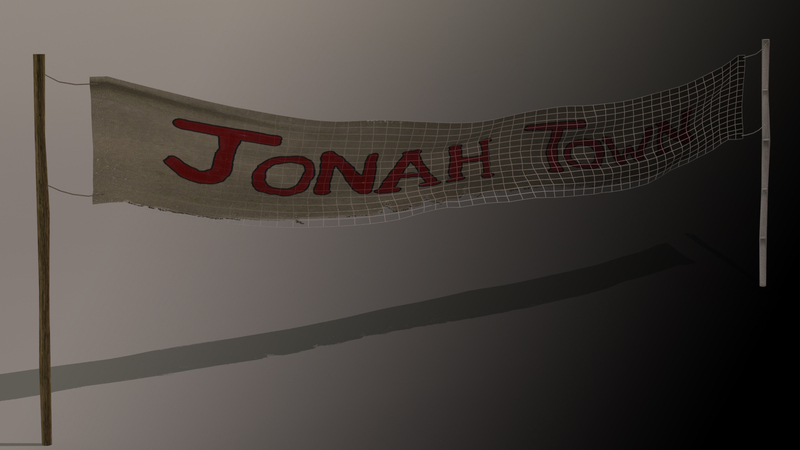 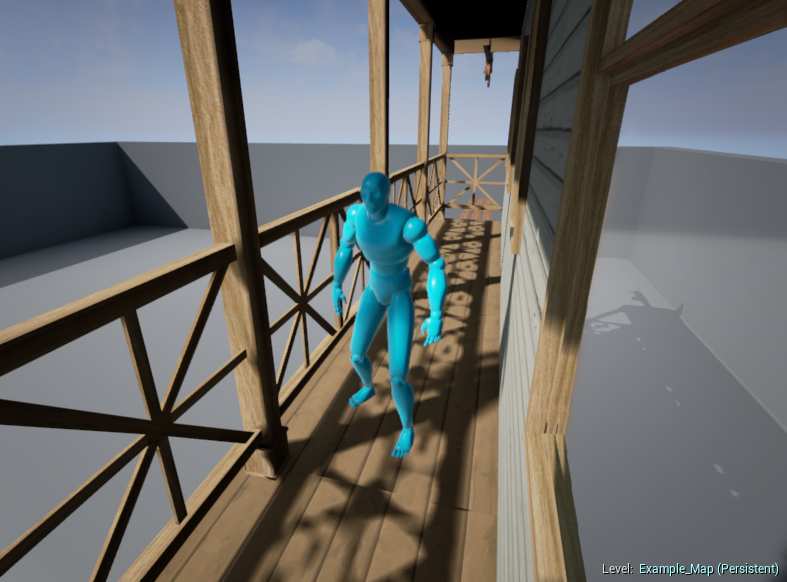 Adding some form of interactivity will give our environment a feel of what could be expected from a game of this type. 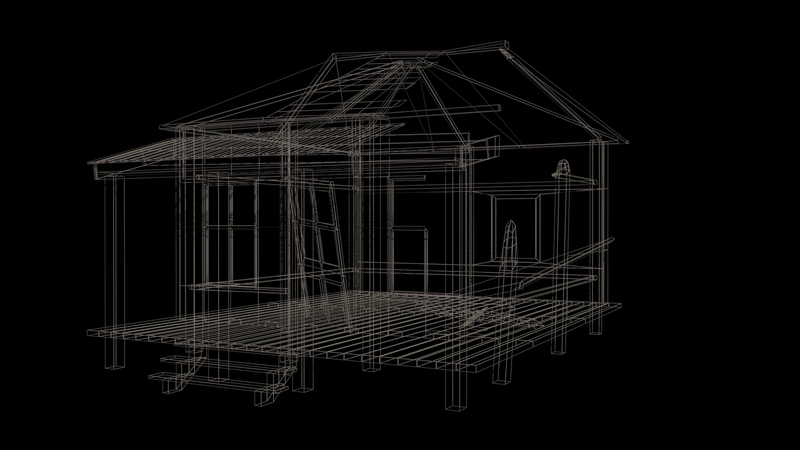 It will also enable the group to experiment and push our creativity to further develop our skill sets. 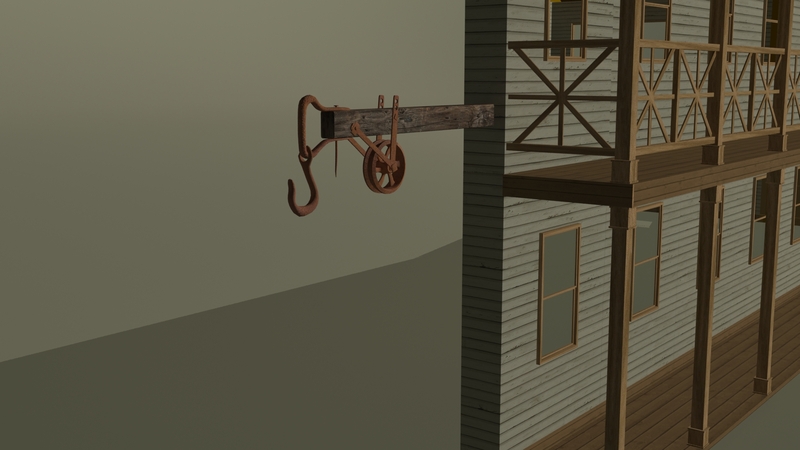 To start with, I added a lift type platform which is triggered to ascend when the ‘F’ key is pressed through the use of ‘Matinee’ and ‘Blueprints’. 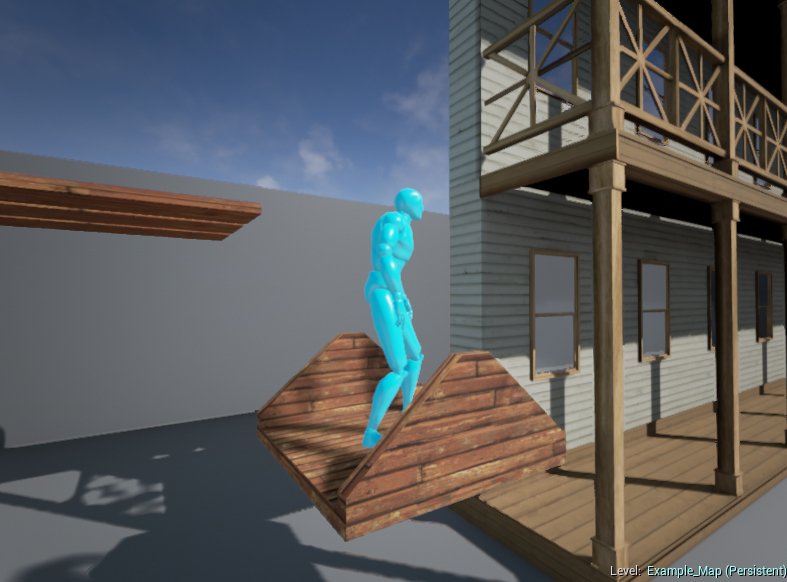 This could be a good way of accessing upper floors of the exterior of buildings. 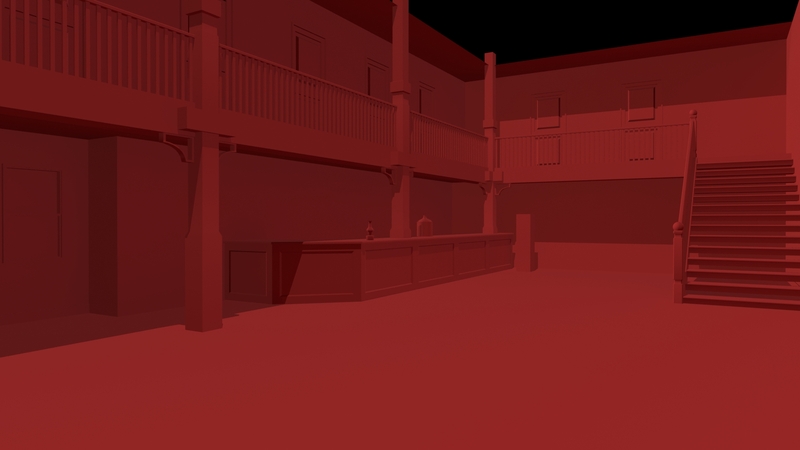 I also wanted to look at introducing hazards to the western town. 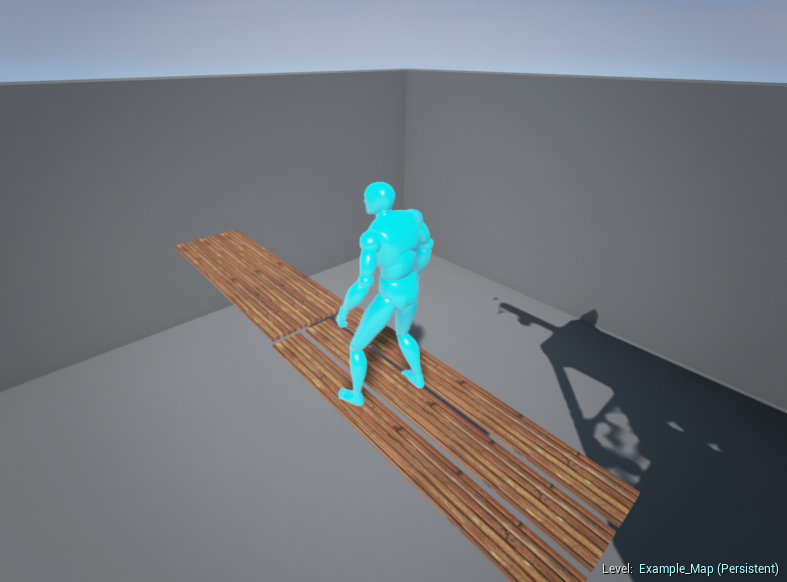 To demonstrate this I thought that a collapsable floor that is controlled via a trigger would give an element of danger and surprise to some of the buildings and walkways. 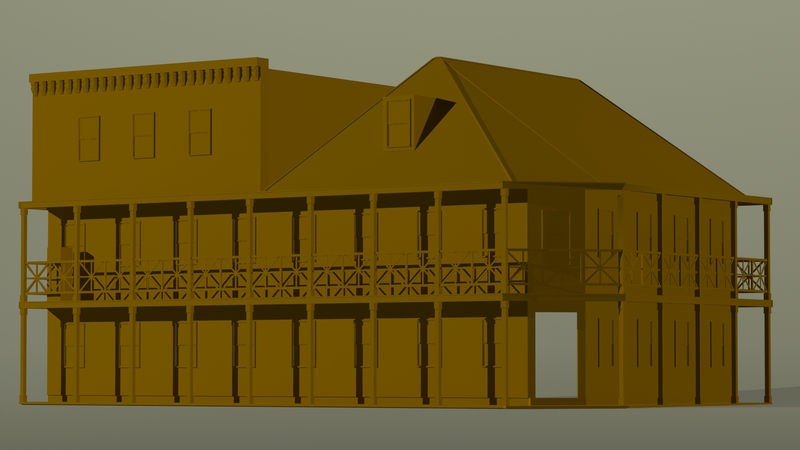 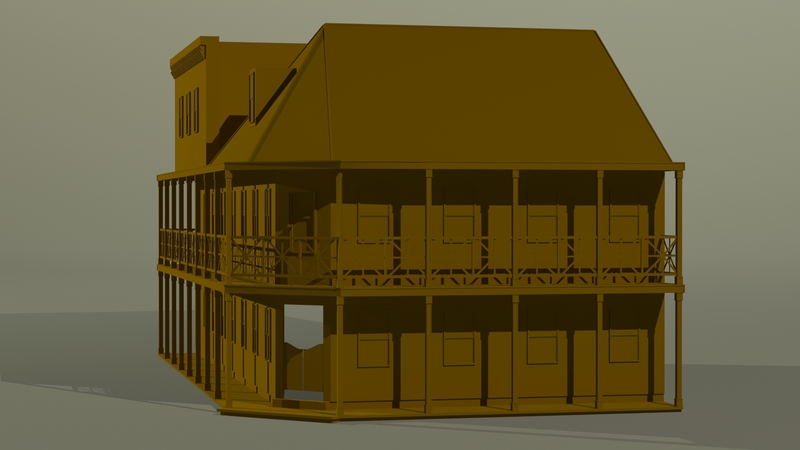 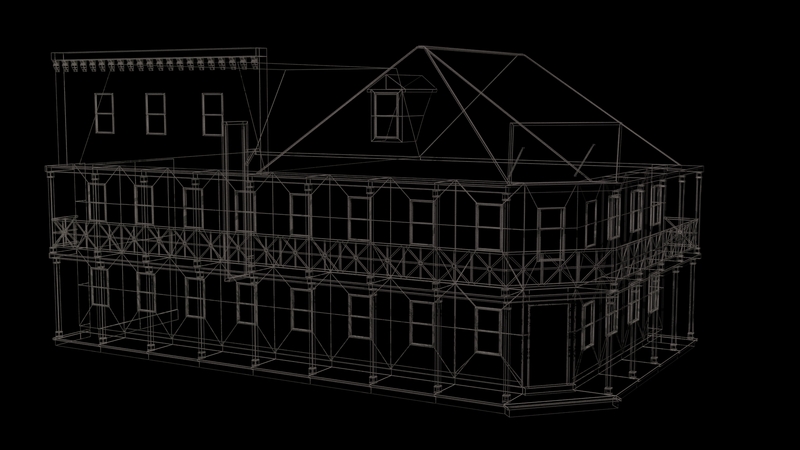 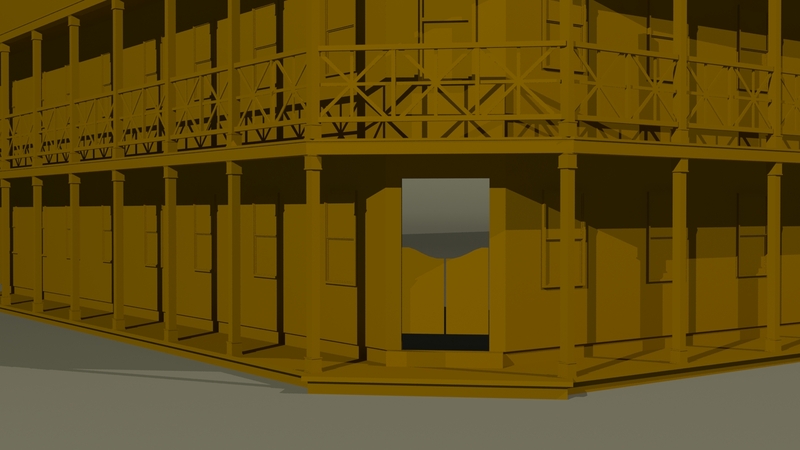 After doing some initial research into the types and styles of building that would have been found in a western town in the 1870’s, I decided to start modeling a saloon based upon ones seen in photographs from the period. 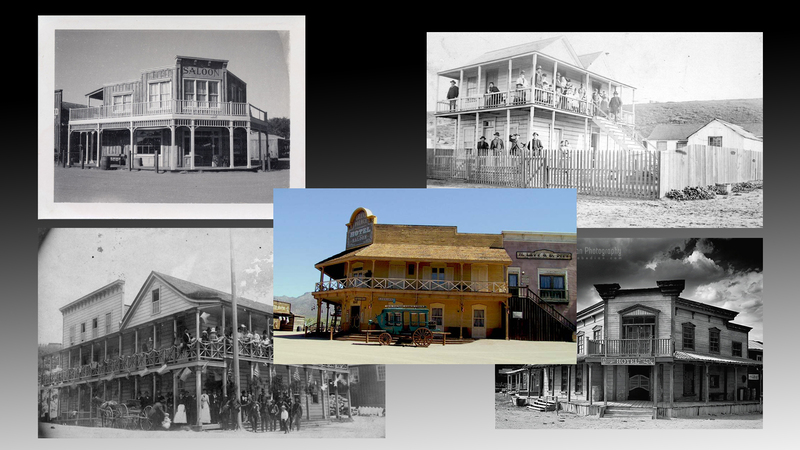 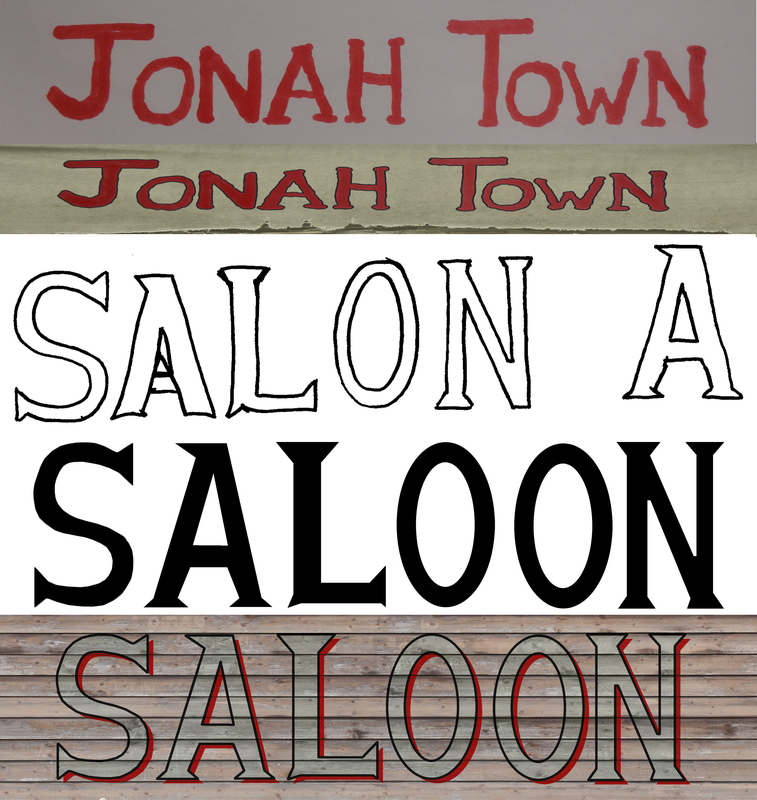 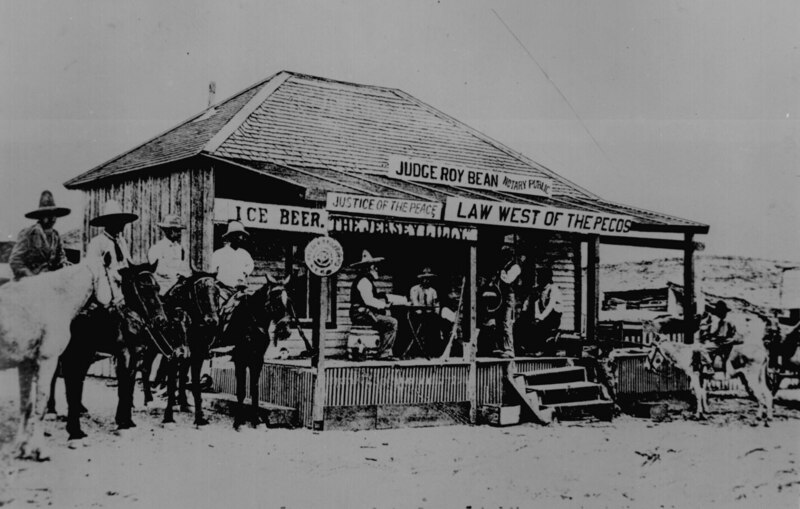 These are the saloons that I based my saloon upon.